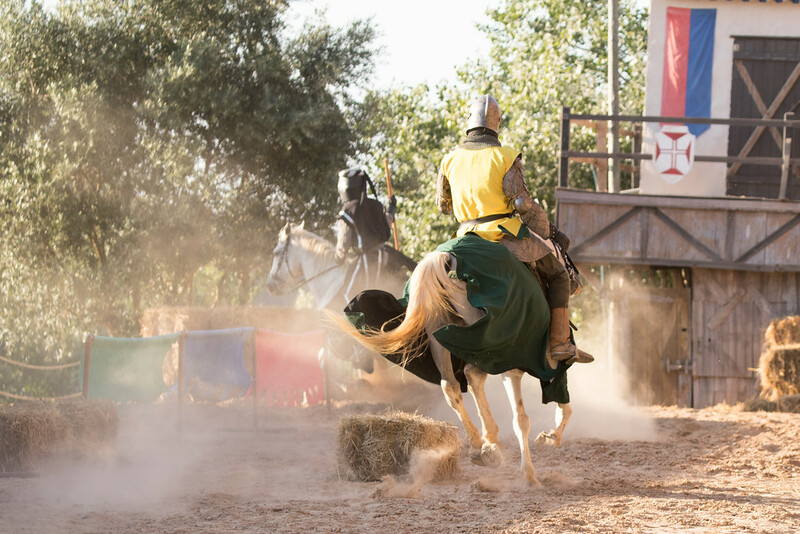 Click on the photos, or click here to see more photos of the Obidos Medieval Festival. 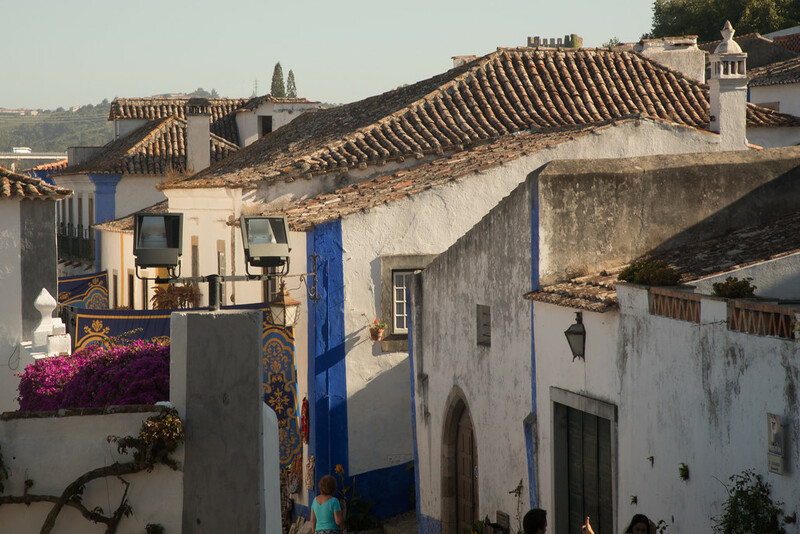 Less than an hours drive from Lisbon, Portugal is the ancient town of Obidos. Overlooked by a medieval castle, inside thick city walls, lies an impressive labyrinth of cobblestoned streets, which are lined by grapevine and bougainvillea bedecked houses, tasty restaurants and tiny shops offering local wares. This ancient beauty is a step back in time whenever you visit, but especially during the summer’s celebration of the Medieval Festival. 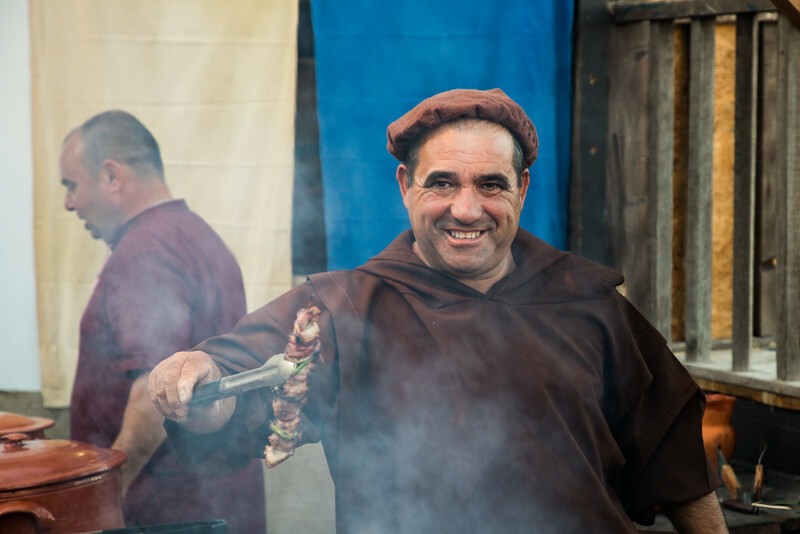 Over the years I have been to many Medieval and Renaissance type festivals, but the, in Portuguese, Feira Medieval de Obidos is the most authentic renaissance festival I have been to. I was never one of those people that lived the fantasy of going back in time on a routine basis, but it was a fun way to spend a day, suspending disbelief, and playing along with the happenings at the fair. As a teenager, I even worked at the Houston Renaissance Festival and have some great memories of that. It was interesting to see how a Texas farmers field, through the use of plywood facades, a lot of paint and a lot of imagination, could transport you, for a time, back to the middle ages. However, no matter how much fun I had, I don’t think I could adequately imagine what the times were like, or that I ever felt tied to history the way I did in Obidos. 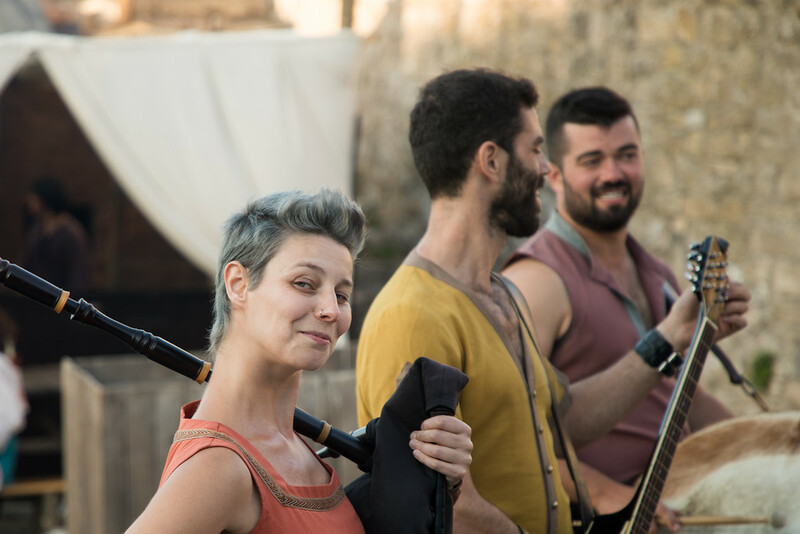 The setting and the sense of location gives the Obidos Medieval Festival in the heart of Portugal a genuine feel. Despite being surrounded by ancient buildings and narrow passages, I never felt the claustrophobia of traffic and crowds the way I sometimes did at the mega-festivals put on in the United States. Fun, relaxed, festive. Also, I didn’t feel like my wallet was being vacuumed clean here. Admission to the Medieval Festival was only €7 Euro, (as opposed to $30 for the current Houston event.) A glass of wine cost €1 Euro, and for only €5 Euro you can rent a costume and play along with the actors. The best part, however, was being at this event and knowing the reality of what was being represented took place on this exact spot hundreds of years before. 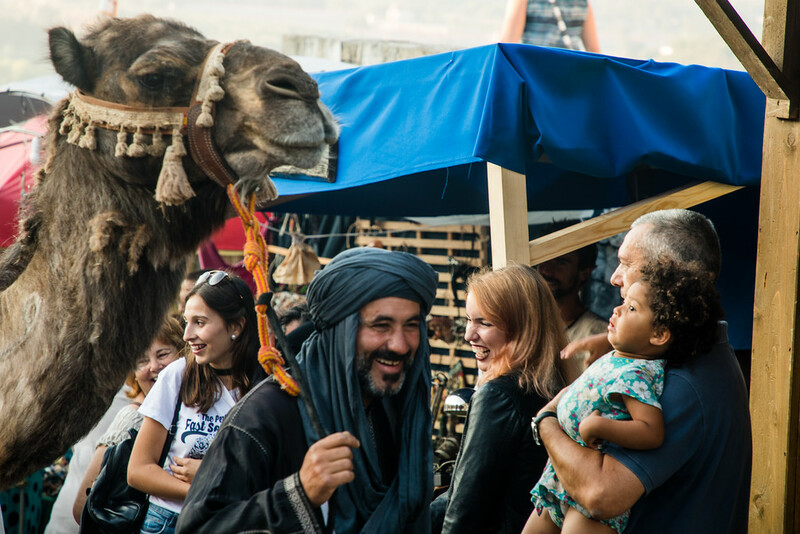 By design, it is smaller and more local, but the Medieval Festival in Obidos, Portugal is hands down the best of any of these types of medieval historical recreations that I have attended.